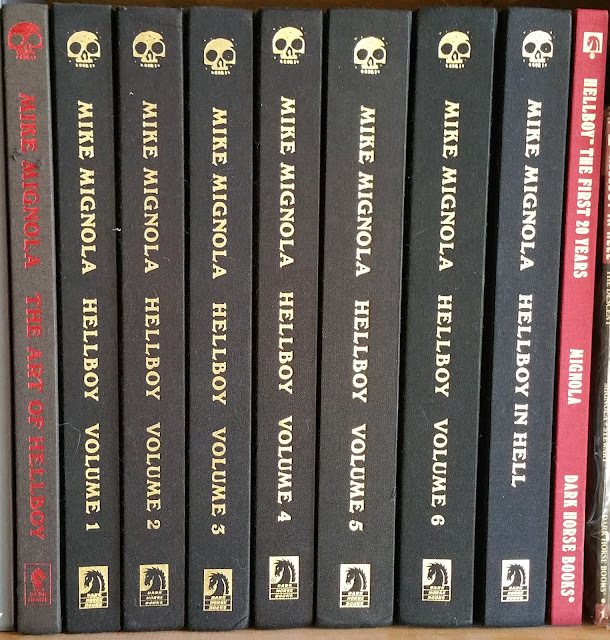 Script Mike Mignola, art by Mike Mignola, Duncan Fegredo, Richard Corben, Kevin Nowlan and Scott Hampton. All illustrations are ©Mike Mignola. For a complete list of all books reviewed in this blog, please visit the index page. Here is volume 6 published in June 2013 (ISBN 978-1-61655-133-9, cover price $49.99, 351 pages). As well as the original comics and their virgin respective covers (sometimes in B&W), the books come also with sketches, alternative drawings, comments by the author(s), unpublished bits and pieces among many other cool stuffs. All the books from the Library Edition collection, apart The Art of Hellboy, share the same second and third of cover (same illustration on both). It opens with the usual Scott Allie introduction. Then "The Storm" and "The Fury are introduced by Glen David Gold. Of course Mike Mignola is in charge of the afterword (as well as a thank you note for Duncan Fregredo, Scott Allie and Dave Stewart). 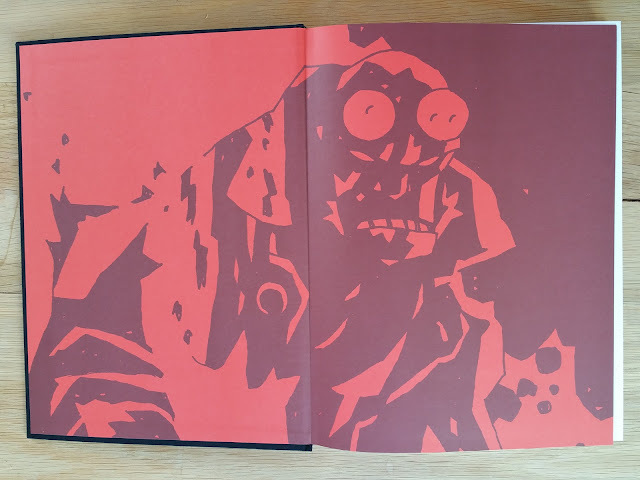 The 87 pages bonus section begins with 3 pages of story notes by Mike Mignola, and two Duncan Fregredo's sketches right after Mike's afterword. The comprehensive sketchbook section is commented by all the artists involved. The book finishes with 18 pages dedicated to the art of Duncan Fregredo. Mignola also has another short original GN coming out in Oct. " Mr. Higgins Comes Home"